You might not want to purchase a diamond online because of the potential to be defrauded. But there is a way that you can successfully purchase your diamonds online safely, if you make sure to take care. The first thing you should consider is your reason for purchasing a diamond online. For many people the reason is the cost. Online jewelers have the ability to keep the costs low to the consumers because their costs of doing business are considerably lower. You should take care, however, when you see a price that is too low to be true. It is probably some sort of scam. The best part of shopping online for your diamond is the variety of styles and sizes that are available to you. When you shop in your local jewelry stores your selection is limited to the stores in your area, but when you are online your selection can be anywhere in the world. Even with this incredible advantage you must be sure to take care when you are shopping online. It can be a bit difficult trying to judge the character of someone that you cannot speak directly with and that you have never seen in person. You should make sure to educate yourself on everything about diamonds. Make sure you understand clarity, cut and color as well as carat weights. If you have knowledge in diamonds you will be a more difficult customer to attempt to cheat. 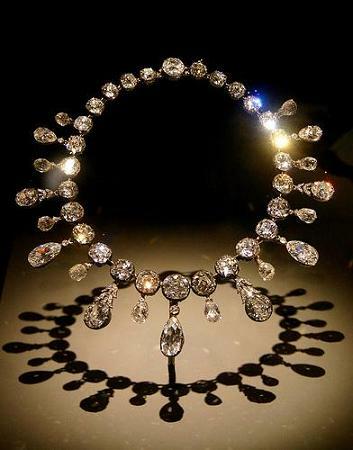 Once you have fully educated yourself on diamonds, you can begin your shopping. Don’t rush into any purchase of a diamond online. Shop slowly and carefully. 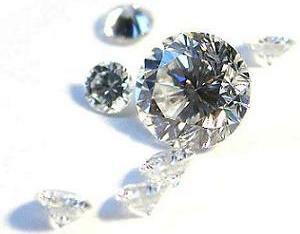 Look around for diamonds that may be on sale or special. The Internet gives you a great ability to comparison shop so take advantage of it. Once you determine where the lowest prices are you should investigate the site that you are dealing with. Just because you found a low price doesn’t mean you are ready to buy yet. Ask for the seller’s background information like their associations in the jewelry industry that they belong to. Make sure they have a return policy as well as a refund policy. Ask for their ability to offer other services like sizing and mountings as well as a setting for your diamond. What does the shipping cost and do they offer any deals on shipping for spending a certain amount of money? Check online to see if there have been any reviews posted about this site. You can also inquire with the BBB online to see if there have been problems with the site. Make sure that they can provide you with a grading report from a lab. You should make sure you see the report before you purchase the diamond. You can take advantage of an escrow service that will possibly have the diamond appraised while they have it in their possession. The way this system will work is that you send your money to the escrow service, the seller sends the diamond to the escrow service and the escrow service appraises the diamond. Once all is said and done the diamond is shipped to you, the money is sent to the seller and the transaction is complete. Provided of course that you used a good escrow service.